Inquiry into the phenologies of grasslands and grasses in North America has progressed substantially in the past decade. Four themes of the recent phenological research are surveyed: (1) the role of exotic and invasive species in affecting grasslands phenology; (2) the role of water and belowground dynamics on phenologies; (3) how experimental manipulations of grasslands have affected constitutive phenologies; and (4) advances in the remote sensing of grasslands. 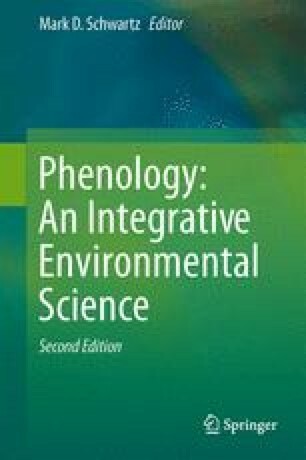 The phyllochron concept used in ontogenetic studies of grass species is discussed in light of grasslands phenology and its link between daylength and thermal time. Research was supported in part by NASA grant NNX12AM89G.